Gift Certificates are available online, by phone or by stopping by our location. ​Come check out our new salon at Fierce Image Lash & Beauty Lounge! Manicures and Pedicures help you relax and unwind after a long day. Having your nails regularly trimmed and inspected for hangnails or fungus keeps them clean and healthy. Our hands show our age so manicures can hydrate, exfoliate and increase the appearance of the skin on your hands and surrounding your nails. A pedicure can be very relaxing and if you have foot problems it can be very therapeutic. Massage during a pedicure also helps to improve circulation and feeling. Body Bliss Skin & Wax Studio has a very relaxing atmosphere that male and female clients both enjoy. At Body Bliss Skin & Wax Studio, we use gentle and natural wax products for all of your waxing needs. We can wax your nose to toes and everything in between in a safe and private atmosphere. ​​Airbrush spray tanning is a safe, natural way to get that sun kissed glow, or deep bronzed tan. Our Norvell products will never make you orange or streaky, or smelly. We customize each tan to your body and what goals you are trying to achieve with your look and tan. 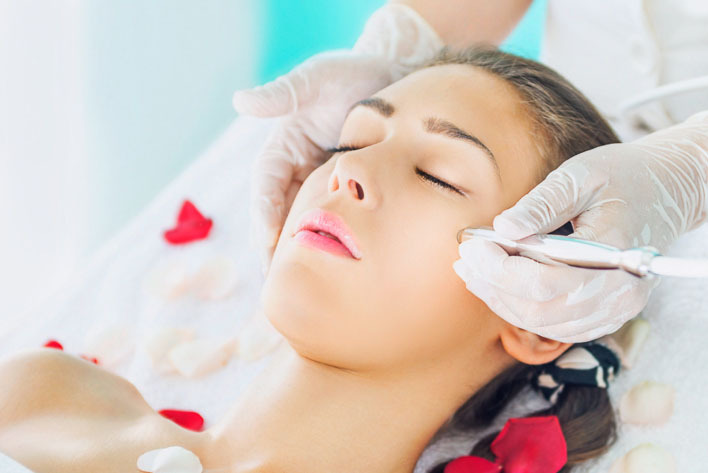 This month's featured facial is ONLY $50! Schedule today!